I recently returned home after almost three weeks in England. Tom was there too, but whilst he spent a fortnight mostly working in London, I was able to zoom around the country visiting friends and family, enjoying old haunts and taking in some new sights along the way. 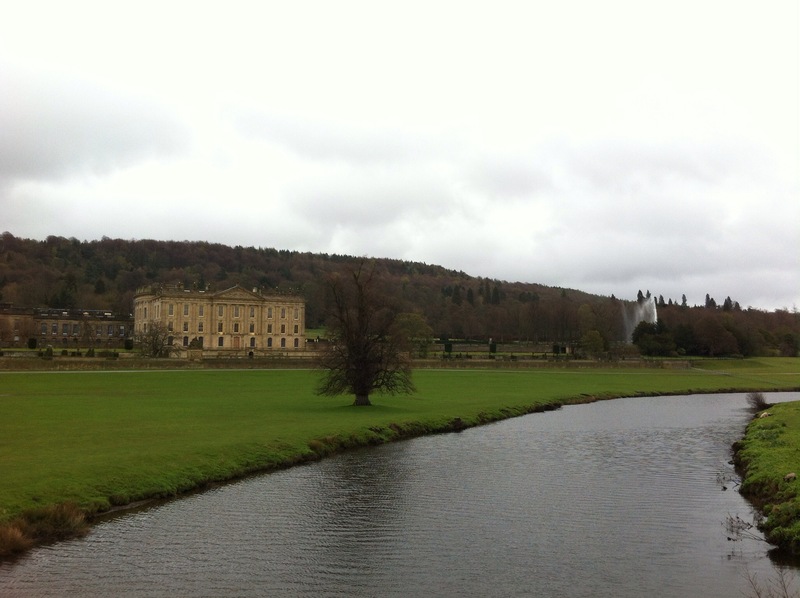 Shockingly, and despite fairly regular visits to this part of the country, I had never been to Chatsworth. It was a delight to rectify this glaring omission, but next time I’ll have to go back to see the grounds – the pouring rain and chilly temperatures deterred us from lingering outside on this occasion. Tom did manage to make it up North for the May bank holiday weekend, where we spent a lovely few days on the scenic edge of Sheffield. 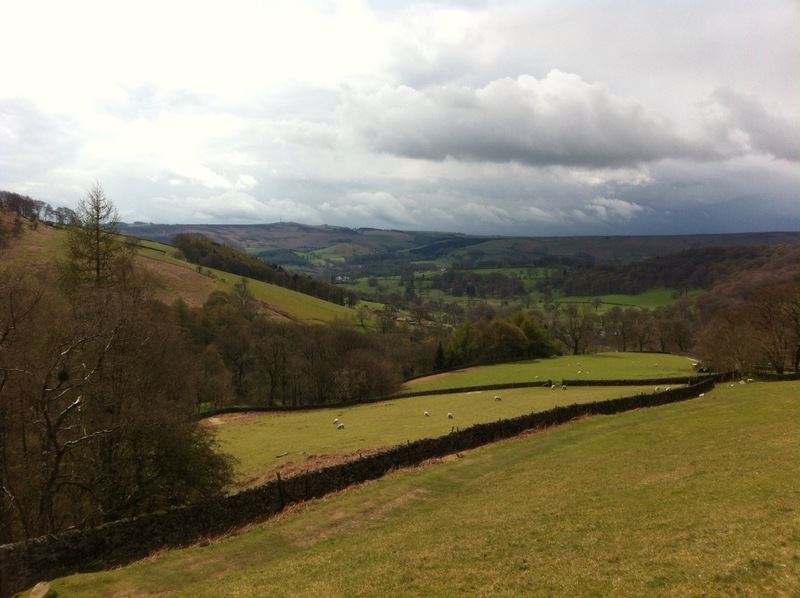 The weather was particularly variable: on a single not-actually-very-lengthy walk we were treated to sun, cloud, rain, sleet and snow. 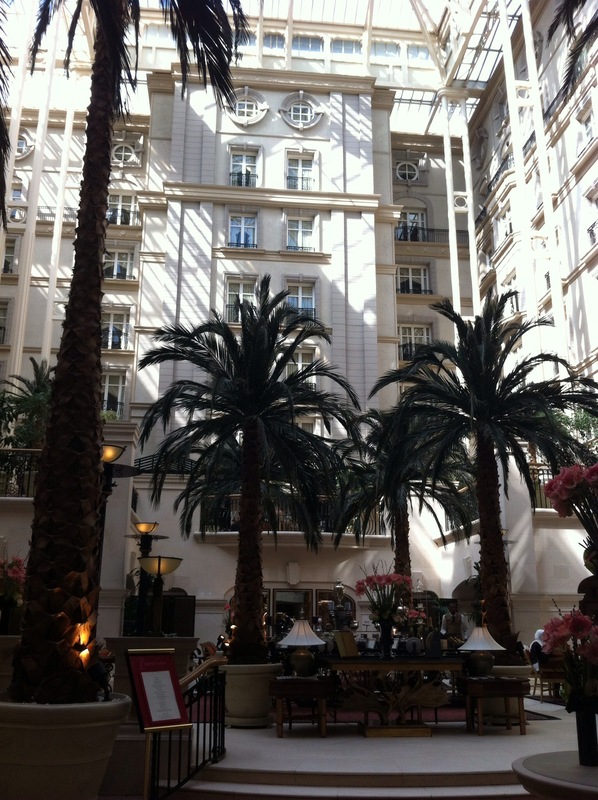 Tom’s company conference was the main motivator for the trip (at least as far as he and his employer were concerned), which brought us back to the beautiful Landmark Hotel in Marylebone. Staying here each year is a huge treat, I only wish we could afford to frequent such luxurious locales more often! Unusually, I had decided to spend very little time in London this trip, although I did have one afternoon to spend wandering around. Sadly I was really quite unwell, so didn’t manage to do half of what I wanted to, although I did pop in to the National Portrait Gallery for a quick visit with one of my favourite portraits ever, and spent some time enjoying the sunshine on the South Bank. I’d also scheduled a visit to the Royal College of Physicians, to see their John Dee exhibition – I know the curator – and was pleased that I did as it was excellent. The final Saturday of the trip took us up to Oxford, for a pleasant wander and catch-up with friends. 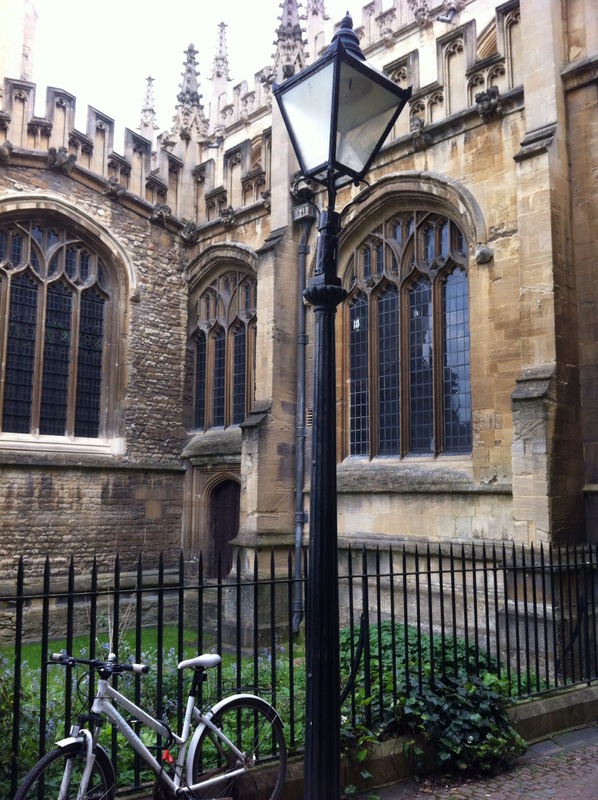 It’s been years since I last visited Oxford, and the timelessness of so much of the city is both charming and a little unsettling. 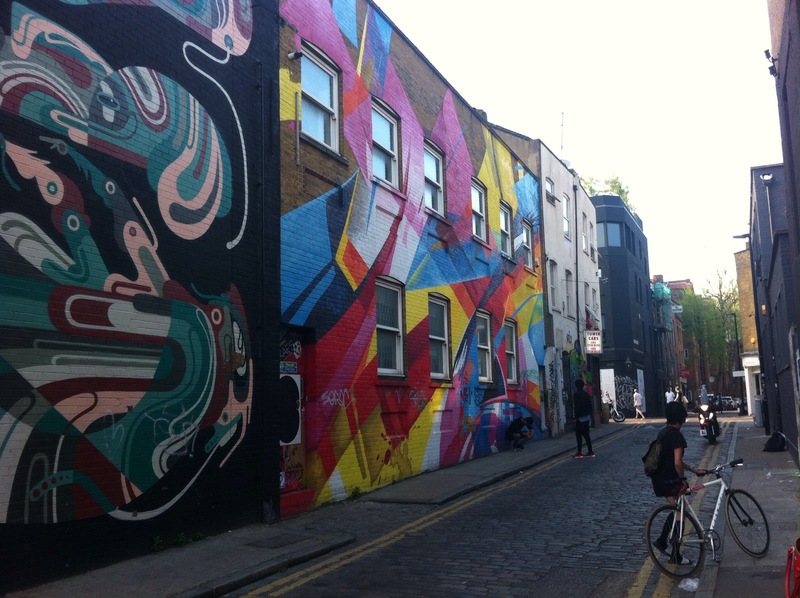 Sunday afternoon brought two unexpected treats – a guided walk around street art in Shoreditch, and some glorious sunshine. Led by the inimitable Alex Lacey, the walk was completely fascinating. I had never really thought much about street art before, but I learned all sorts of interesting things, and we saw some strange, wonderful and genuinely beautiful creations. No one can accuse London of remaining static, and it is remarkable to see how much can change in the months between our visits. 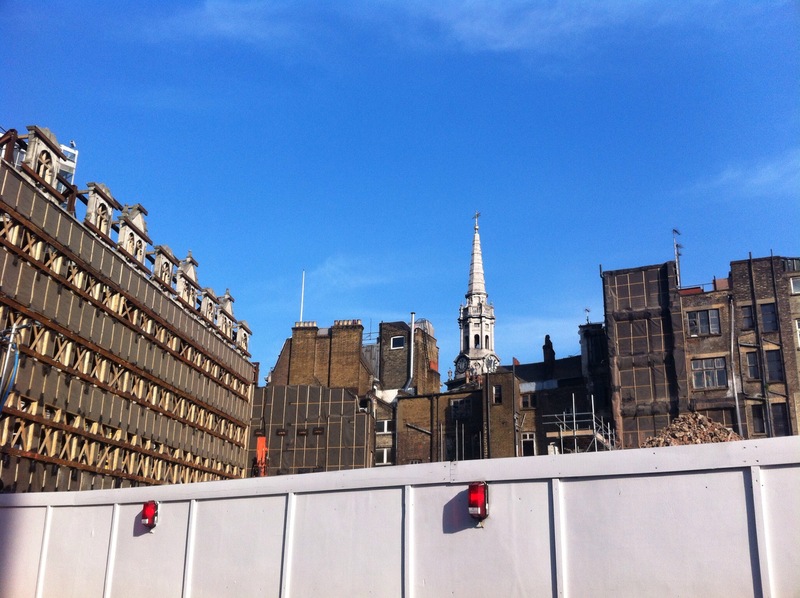 The area around St Giles is being eviscerated at the moment, and it was sad to see the dismemberment of some beautiful old buildings – our favourite cafe used to live behind this facade at the left hand side of the picture – as I headed to evensong. Finally, it was time to leave. 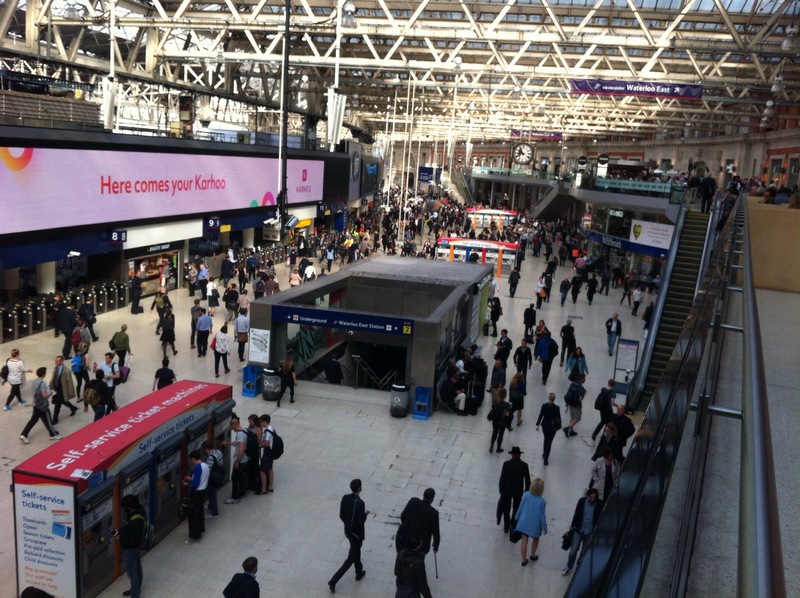 Waterloo was my regular point-of-entry into London before I moved there, so I pay more attention when it ends up being my departure station. (In case you are wondering how Waterloo played into my return trip to the US, I was off to the Wiltshire countryside to visit my great aunt, before travelling on to Heathrow via Reading!) And even Waterloo has changed somewhat in the last 10 years or so, although mostly for the better I think – this gallery eating and seating area is rather pleasant. Each year, England feels slightly more alien, and it’s strange to think that when we return next May we’ll have lived in the US for as long as we lived in London. As usual, there wasn’t nearly enough time to see everyone we would have liked to, despite filling every available weekend and evening with different friends and relations. I’m always completely delighted by how many people generously make time for us when we’re visiting, and accommodate our random travel plans and requests for meals and/or accommodation without complaint – we are so grateful to you all! Our apologies to everyone we didn’t manage to squeeze in – hopefully we’ll see you next time (or why not come and visit us?!). Looking ahead, as you might expect, I have the next two trips booked (a conference next month, then our summer holiday in July), and at least one more in the planning stages, plus of course the summer in NYC brings all sorts of fun things to do. It’s good to be home! This entry was posted in Holidays, Travel and tagged architecture, art, Chatsworth, England, London, Oxford, Shoreditch, Yorkshire by Emma Davidson. Bookmark the permalink. Lovely write up! excited to hear what the summer holidays bring!